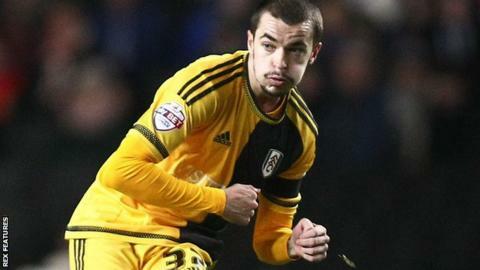 League Two side Mansfield Town have signed Fulham left-back Sean Kavanagh on loan until the end of the season. The 22-year-old, who can also play in midfield, has made just two appearances for the Whites this season. Kavanagh, a Republic of Ireland Under-21 international, has featured a total of 25 times for Fulham since making his first-team debut in August 2014. He is eligible to make his debut for the Stags in Saturday's match at home to Luton Town.